I just remembered to make a inspirational mosaic for January 2011. See above, click here to see it bigger. There has not been much added to my art journal this week, so no weekly update about the art journal. Instead I was going to make a post about a beautiful sketchbook covered in brown paper that I put together this week, but it will have to wait. I will do some stitching tonight and watch a movie. Maybe eat some candy! I did wrinkle the paper than I glue it down and I really like the effect. Wish me luck, tomorrow I will teach my first IRL class to the embroidery ladies. 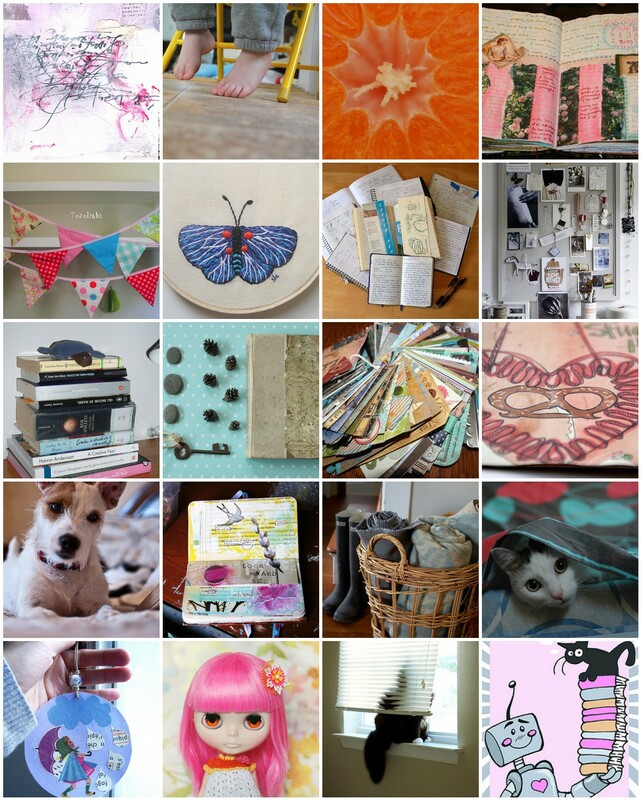 It will be about making your own spiral bound sketchbook, I think we will have a lot of fun! I will blog about that another day, later on. This entry was posted in Inspiration and tagged brown paper, flickr mosaic. Bookmark the permalink. Maria min v?n! ?r du vaken och l?ser bloggar s?tis!? Hoppas allt ?r bra med dig! Kram. Beautiful mosaic! I have set it to my background now so each time I hop onto my computer I am inspired anew! Thanks for providing these, I love em all! 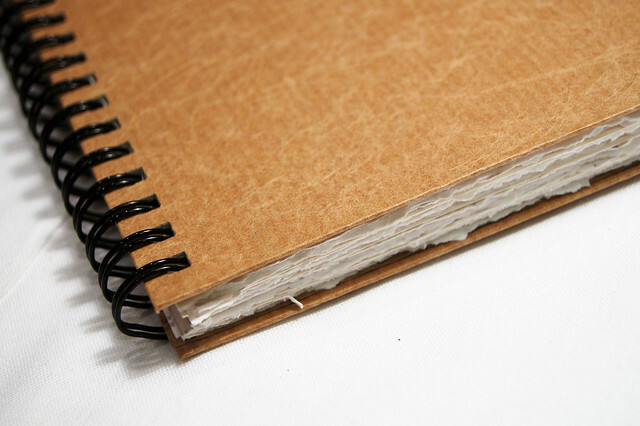 Also, I am really liking the crinkle look of the notebook cover… Sometimes, a little added texture is all that’s needed! Lycka till med kursen! Skulle vara roligt att delta en annan g?ng. I like the little doll with pink hair in the bottom row.